The Big Day is a big deal for more than just the bride; grooms deserve a full-on, let-loose experience with their bros before they say their I Dos as well. 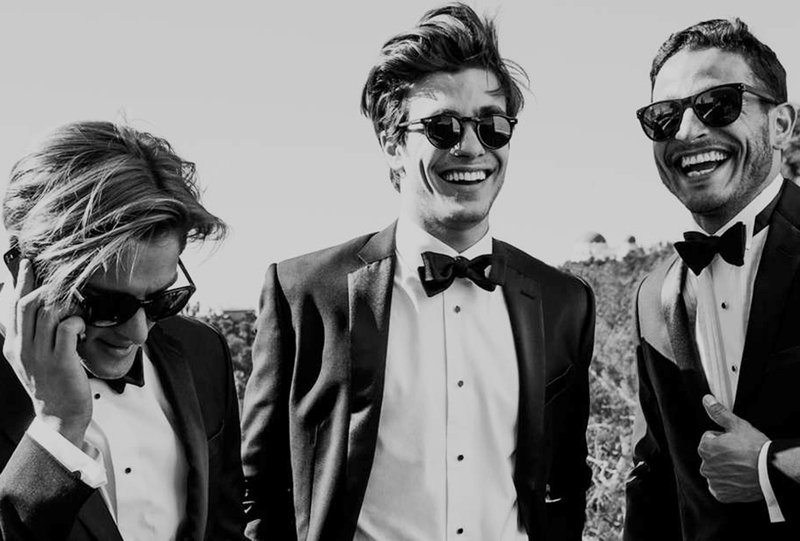 Because the bachelor party can easily skew cheesy, we decided to chat with a couple of the top sophisticated gents in the industry: the duo behind the ingenious, alternative tux rental company The Black Tux. Andrew Blackmon and Patrick Coyne founded The Black Tux in 2013; a brainchild borne out of their shared experience prepping for Andrew’s wedding in 2011. The long-time friends saw an opportunity to disrupt the traditional tuxedo and suit rental outlets by offering an inventive alternative. We figured that if these two could up the tux game they might also have a thing or two to say about classing up the bachelor party. R&G: What are the best locations for bachelor party locations for grooms and groomsmen looking to get out of town? TBT: Anywhere but Las Vegas. Even if the groom loves gambling, towns like Deadwood, South Dakota, and Blackhawk, Colorado, have casinos, character, and you can easily find an Airbnb in those areas to accommodate as many guys as you’ve got. And you’ll spend more time together, which is really what a bachelor party is about. R&G:Are there any ways to "class up" the traditionally raucous bachelor party? What are some of the best bachelor parties you've seen shaking things up lately? TBT: It’s all in the approach. 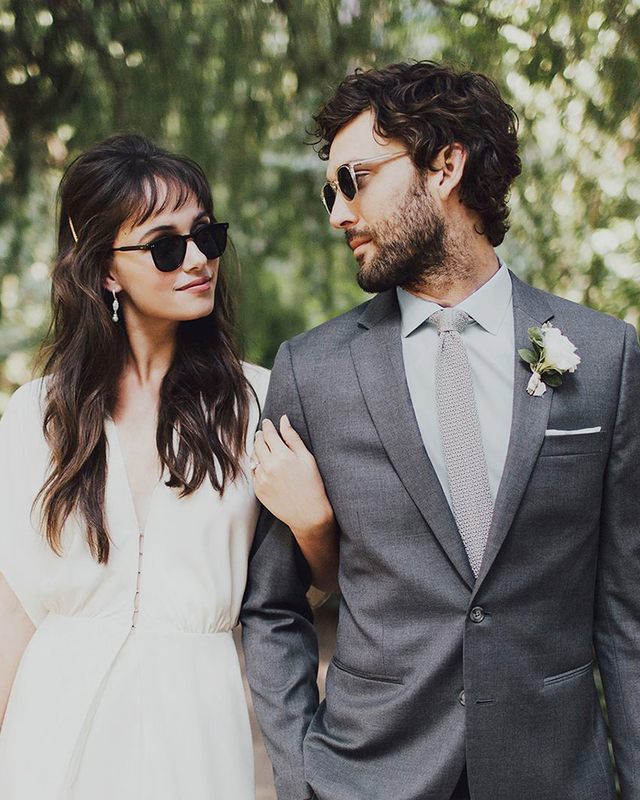 If the entire plan revolves around alcohol and mostly-naked people, it’s going to be hard to achieve “classy.” Make a plan that’s all about the groom’s favorite hobbies or interests and you’ll set the tone for the entire outing. Take in a baseball game in the afternoon, feast at the groom’s favorite restaurant for dinner, and see a live show with the groom’s favorite band that night. R&G: Any suggestions for bachelor parties that are easy and cheap, but still a blast? TBT: Soak up the bounty of nature and go camping. Someone you know has a grill you can borrow. Stock a cooler full of water, beer, and grillable meats and vegetables. Rent a tent and other equipment from your local outdoor supplier, or sleep in cars. Grab an inexpensive kit to help you responsibly start a fire, and you’re set. Pitch this idea to a guy who’s been on a Vegas bachelor party and he’ll probably cry a little as he thanks you. Bromance tears of joy and gratitude plus a round-up of bachelor party ideas that feel modern, accessible and legitimately fun? We’re so sold.